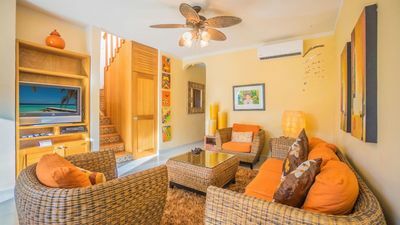 Casa Mar Azul ~ 'Where the land ends and the Caribbean begins'.. hidden away on Punta Sur (South Point) is our spacious luxurious three bedroom and three and a half bath residence located in the very desirable area of the island. 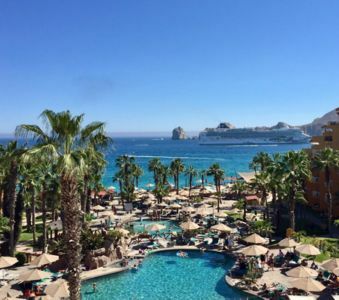 Isla Mujeres - the 'Island of Women' is where you will enjoy sparkling clear, warm azure waters, beautiful white sandy beaches, gentle tropical breezes, spectacular views, ancient Mayan ruins and modern conveniences that is only a 15 minute ferry ride from Cancun - but worlds apart. 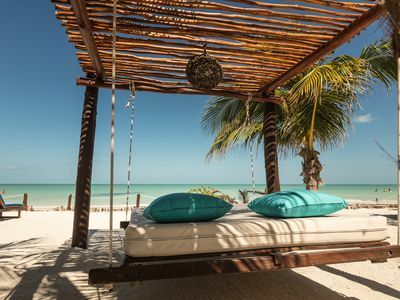 Once a sleepy fishing village, Isla Mujeres has been “discovered” by tourists, but still maintains much of its small-town charm and laid-back attitude. 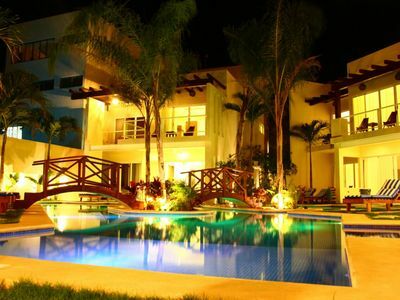 Casa Mar Azul is a luxurious custom home located in a very desirable area of Isla Mujeres - Punta Sur (South Point) is a very desirable area on the island. 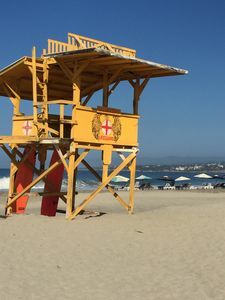 Our home is surrounded by the Caribbean Ocean on 3 sides and located next to Garrafon National Park & Garrafon De Castilla Beach Club .. which is located steps from our front door. 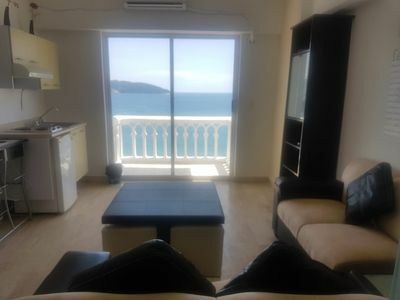 Perfect for a large family or as a holiday retreat and is ideally positioned to enjoy the proximity to beaches, bars and restaurants. 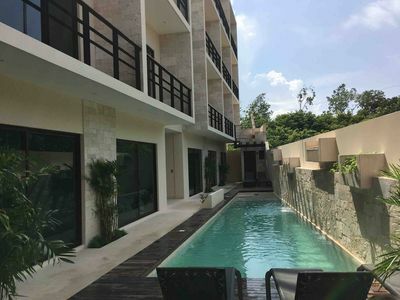 Our home features a beautiful custom pool with color changing LED lighting, custom glow-in-the-dark feature and tempered glass around the edge for added safety..it creates a mirage of those beautiful “Caribbean blues". 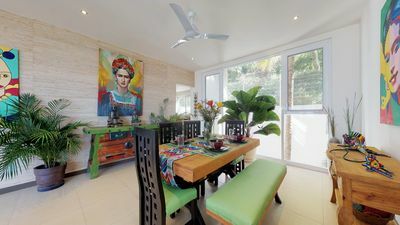 Casa Mar Azul is a very large & open living room and dining area with brand new furniture..Reclining sofa, love seat and recliners for your afternoon siesta. The living & dining area allows you to 'bring the outside - inside' with floor-to-ceiling glass doors that fully open up . We have a full size outdoor grill for you to use as well. Newly built custom wood cabinets in the kitchen and travertine flooring throughout our home with custom wood cabinetry in kitchen, granite counter tops, Complimentary international phone line for you and your guests to use during your stay to keep in touch with loved ones, Dish satellite TV (with US channels), High speed WiFi internet throughout our home as well as a WiFi network booster, so no matter where you are in our home there will always be a strong signal. 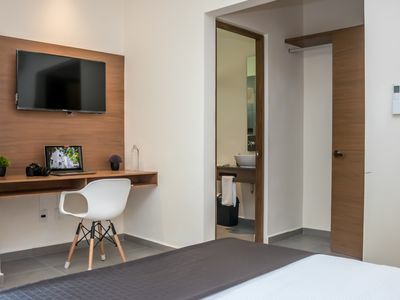 Ceiling fans are installed in every room, and split air conditioning units in all rooms that will cool down VERY quickly..
Our home offer three very spacious Master suites. 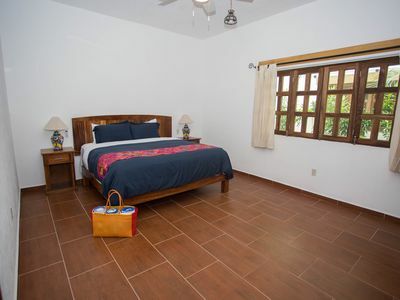 The 1st bedroom is located on the main level of the house and it has a King bed with luxurious bedding with en suite large bathroom with walk-in shower & walk-in closet. 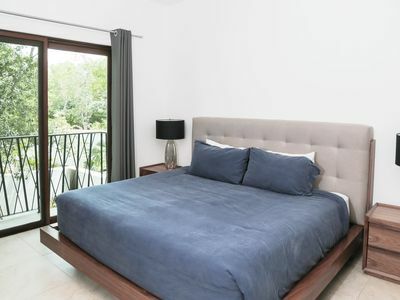 On the 2nd level of the home you will find the beautiful Master suite that has a King size bed, luxurious bedding and 'floor-to-ceiling' windows on 3 sides that overlooks the Caribbean Ocean & Cancun Bay, Large en suite bathroom and built-in closet with plenty of space for your clothes and built-in safe. 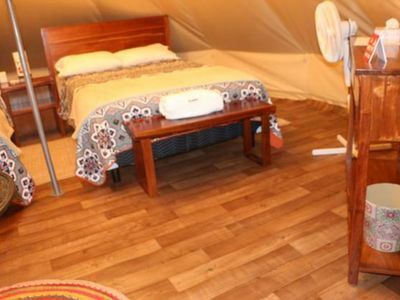 The 3rd Bedroom has two Queen beds and walk-in closet, & ensuite full bathroom with large shower. 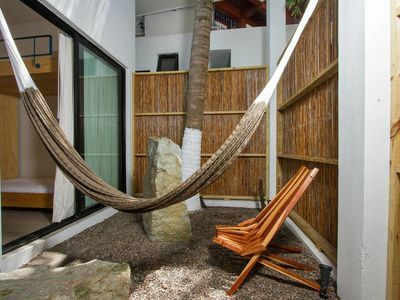 Each bedroom has a large private full bathroom with walk-in showers and marble vanity tops. 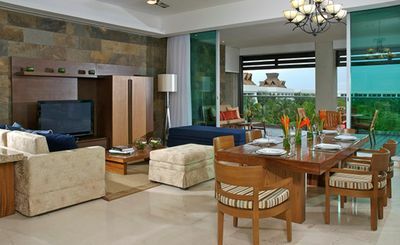 Second level bedrooms have walk-out balconies/terraces overlooking the Caribbean and a table and chairs on the balcony. 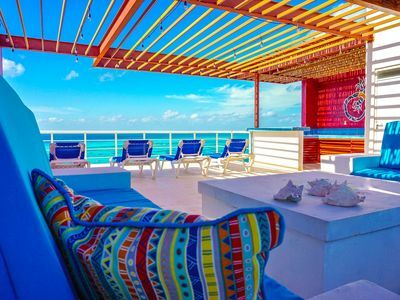 Up one more level and you will reach the spacious rooftop area what offers 360 degrees of "Caribbean Blues" and the most brilliantly colored sunsets on the island. 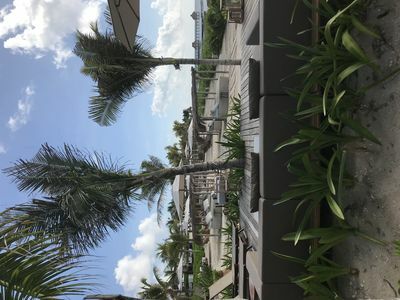 We recently completed construction of a lighted pergola and tiled bar area with sink and refrigerator, custom oversized sectional sofa with comfy cushions & lots of throw pillows to relax and get lost in all the beauty and ocean breezes..maybe grab a nap or two. The area is ideal for entertaining friends, family & large groups. 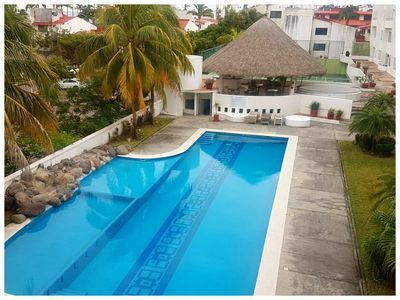 Casa Mar Azul sits side-by-side with our other residence, Casa del Sol Naciente, which has same floor plan.. Each home has their own PRIVATE pool with the same amenities as Mar Azul and each home offers lots of area for rooftop entertaining as well. 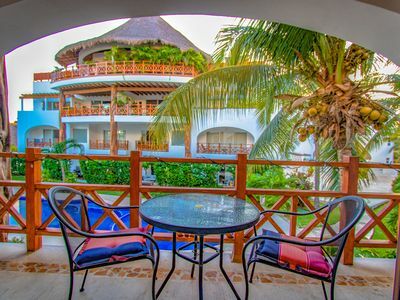 The perfect location for large family vacations, Corporate retreats, weddings, group friend trips, etc. Family owned and operated (NOT a property management company) You will always deal directly with myself, the Homeowner. They can be combined to sleep 20-22 guests comfortably. 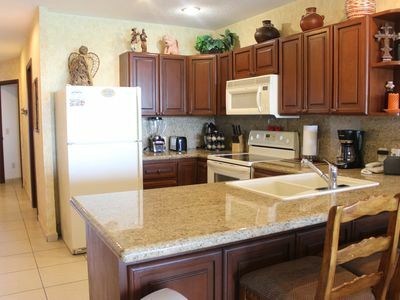 Both homes are always meticulously maintained and are furnished beautifully. They can be rented together or separately. 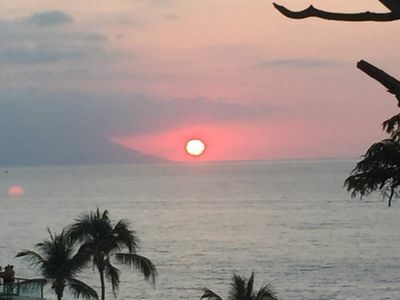 To inquire and/or book both homes..You can view Casa del Sol Naciente via VRBO listing # 638983 and view house availability calendars (which are ALWAYS current.. my pet peeve) and current rental rates. We do offer reduced rates for booking both homes together.